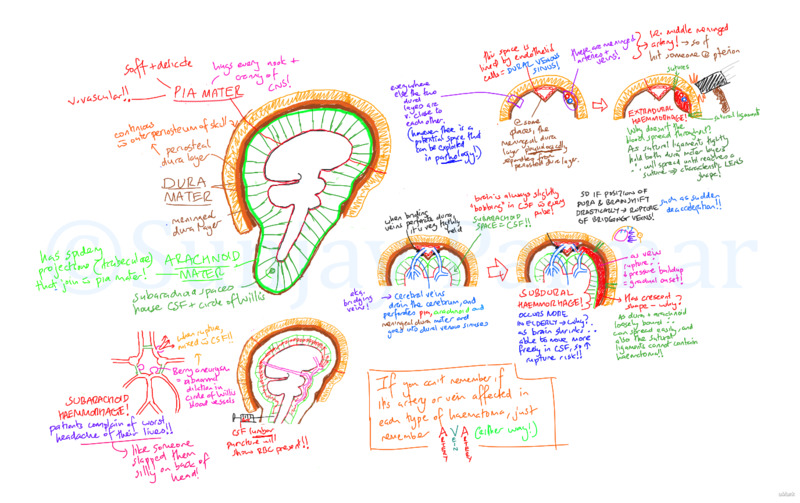 Knowing the anatomy of the meninges and how cerebral haematomas occur is vital in an acute setting, and this visual mnemonic hopes to conceptually explain the pathophysiology behind these potentially fatal conditions. Thanks for sharing this. It's very useful to have it all on a single page in such a visual and colourful format. Well done! - Tutorial summarising stroke definition, presentation and pathophysiology, and management.